What Else Could Go Right? In just three days, I’ll be leaving for a Compassion tour in Nicaragua. It’s a trip I’ve been hoping to take since first becoming a sponsor through Compassion four years ago, but the weeks leading up to this trip haven’t gone exactly as I had envisioned them. In that vision, I would have set aside more time to read my Bible, some inspirational faith books and maybe some other sponsors’ blogs about their own trips. I would have spent more time in prayer preparing my heart and mind for the trip ahead. I would have begun writing in my trip journal already. I would have gone into this trip feeling mentally and spiritually prepared for the days ahead. Instead, the past four weeks have been an exhausting string of medical issues in our family. First, my youngest son needed to have a tooth pulled. Everything went well, and he bounced back quickly after a day of everyone smothering him in love at home. Then three days later, my daughter had surgery on both legs to correct a toe-walking issue. She came home in two casts, to be worn for almost five weeks, but her surgeon assured us she would be up and walking in those casts within a few days. That was hard to imagine in those first few days, as it was painful for her to bear any weight at first, but about five days after surgery, she began making short walks around the house. She’s still sore and can’t be on her feet for too long, but she’s healing and getting around now. The following week, my sister had surgery to remove a large tumor. The two weeks leading up to this unexpected surgery were filled with anxiety and concern that the tumor would require radiation or chemotherapy treatments after removal. But we were all thrilled when the entire tumor was removed, and testing indicated no further treatment would be necessary other than annual monitoring to check for regrowth. Not even one week later, my husband had knee surgery to fix an old skiing injury. That procedure also went well, and he is slowly healing and getting back to normal. Finally, just last week, my youngest son had an appointment with a pediatric cardiologist. His regular pediatrician heard a heart murmur during his annual physical this summer, and referred him for a follow-up. At the time, he assured me that children often grow out of heart murmurs, but he felt it best that my son be seen for it. So I took him in expecting to be told the murmur was nothing to worry about. Instead, my son was diagnosed with a heart condition that eventually will require valve replacement surgery. In the meantime, he will see a cardiologist annually, for life, to monitor the condition. He’s four years old. There was a time when news like this would have had me asking, “What else could go wrong?” There was a time I would have been shouting that question, especially following the previous three weeks of medical ups and downs. I live in a place and time where all of the medical issues of the past month are manageable. Having a tooth pulled is better than dying of infection. Surgery to correct a walking issue will save my daughter from future complications with her legs and feet. My sister is cancer-free due to great screening and medical care. My husband will ski again this winter with our children, rather than sit on the sidelines. And by the time my son needs surgery on his heart, procedures and techniques likely will have improved to the point that the surgery is even more safe than it is today. This entry was posted in Compassion International, Nicaragua and tagged child sponsorship, Compassion, Nicaragua. Hi Kerri! I am a fellow Compassion Blogger. I am so excited to learn of your blog and am following it. I wanted to write to learn more about the differences between Compassion and World Vision. I have attended Women of Faith Conferences before and they advocate for World Vision. 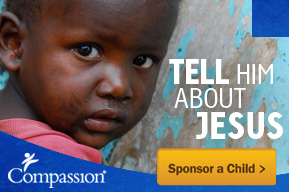 A number of my friends sponsor children through World Vision, but I only know of Compassion. It is just a personal question. I think both are fabulous, but I know there are differences and because you sponsor children through both, i wanted to know more. Can you tell me what you see are the main differences and what are the positives in both? Also, what do you see that are the not so positive in each. Maybe one organization does something a little differently than the other. Again, this is just for my personal knowledge. Hi, Kristy! Thanks for following my blog! I’d say the main difference between Compassion and World Vision is the approach to helping the community. As you know, Compassion partners with a local church in the community to run its projects, registers children, and the children attend the projects, where they receive spiritual training, medical care, tutoring, and many other services. Often the projects also offer classes for parents on parenting methods. World Vision goes into a community, partners with community leaders, sets goals for the community along with those leaders and registers children for sponsorship. So the community has a voice in what issues are most pressing to be addressed, and each child still has the opportunity to have a one-on-one relationship with a sponsor through letters. However, the children do not regularly attend a project through World Vision. Instead, they may participated in various activities throughout the year. There are other small differences in how the actual sponsorship works as well. For example, I mail my Compassion letters to Colorado, and the letters are sent to the various countries from there. But I mail my World Vision letters directly to the WV office in the child’s country. With Compassion I can only mail flat, paper items, and WV allows small packages to be sent. I’m having a good experience with both organizations. Let me know if you have any other questions! Thank you for the info! That is so helpful! Wow…you have had quite the medical adventure in preparation. Your outlook was encouraging!! I’m thankful that your family has the medical help they need. I pray they’ll all be safe as you and your son travel to Nicaragua. I’m also praying for safety for you and your son. I can’t wait to hear all about it! !